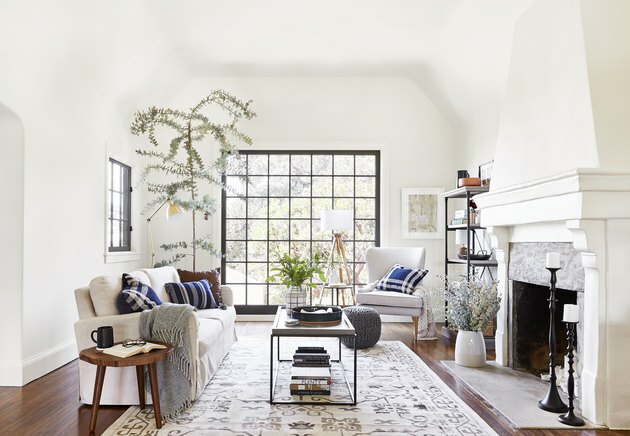 Interior designer Emily Henderson is known for doling out design advice on her award-winning blog, hosting a hit television show, and singing the praises of affordable Target finds, but she's also equally famed for her ability to beautifully pull together a modern traditional living room. (Think wingback chairs paired alongside shelves filled with geometric ceramics, velvet sofas combined with abstract artwork, bubble chandeliers hung above reclaimed wood tables.) It's a style Henderson frequently adheres to — and it also just so happens to be trending right now. Once we noticed the rise of modern traditional style, of course, we turned to the Los Angeles-based interior designer when seeking tips for nailing the look. "I would say the key elements are large pieces like sofas and chairs in classic silhouettes with a little bit of an update, like a turned table but much thinner than you'd expect," Henderson told Hunker. "Or a traditional wing chair with say, a midcentury or more modern leg, a soft neutral color palette, some hits of black to edge it up, handmade decorative objects, cozy textiles, and some vintage to add soul," she expanded. If you're new to the trend, you're going to want to keep scrolling. 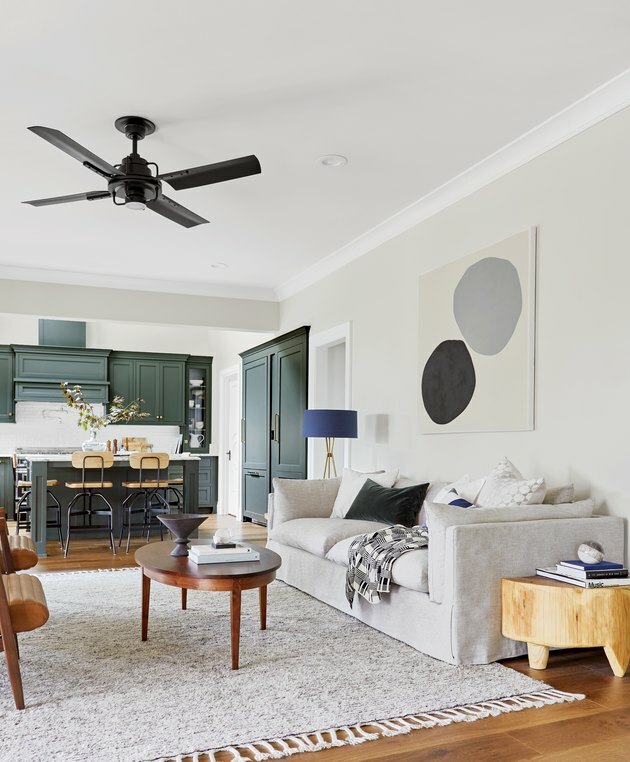 Here, Henderson shares six starter tips for crafting a space that radiates both tried-and-true traditional and fresh, modern style. Henderson's modern traditional styling is all about furniture pieces that carry both bygone vintage flair and modern sensibility. The designer advises against choosing pieces that are overly ornate or patterned, since they have a tendency to go out of style fairly quickly. To achieve a modern traditional living room that will stand the test of time, she suggests choosing major upholstery pieces that don't have too much decorative detail. "This will keep them timeless and not have you wanting to replace them in a couple of years," she explains. We all love those on-trend colors (who doesn't get excited when the Pantone Color of the Year is revealed? 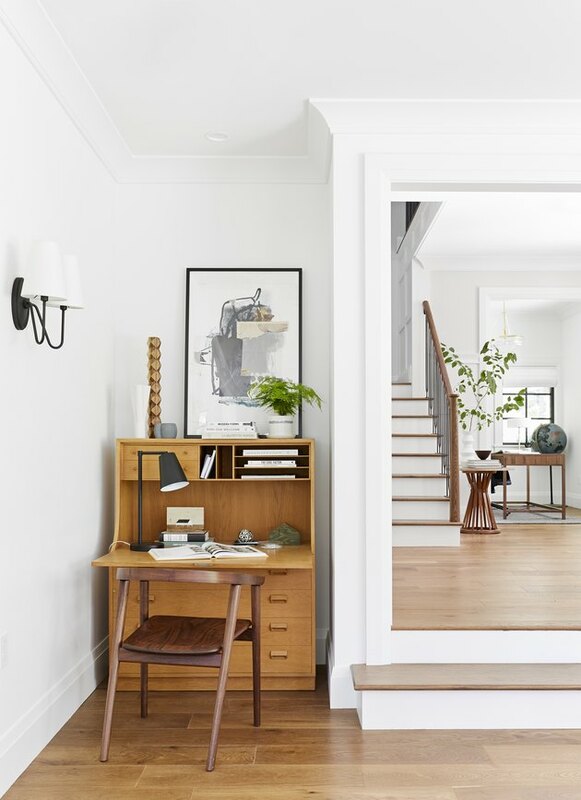 ), but to really hone in on a traditional approach that has a modern feel, neutrals paired with bursts of timeless, long-established colors are usually best. "Big pieces should be neutral," advises the designer, adding that you can accent a space with dark colors (think blues, greens, and blacks) to infuse a room with warmth, as seen in this living room designed by Henderson. Henderson always strives to weave in decorative pieces that are simple and look handmade. 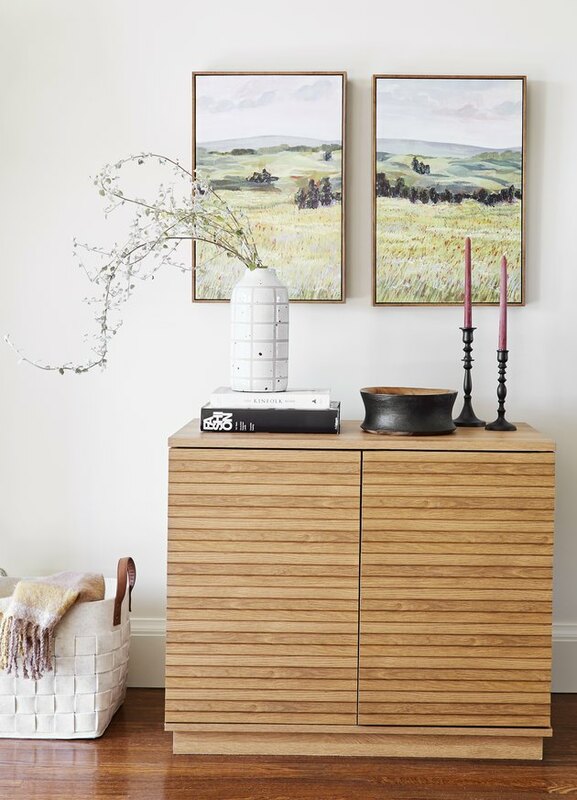 Combine traditional pieces (like oil paintings) with modern objects (such as contemporary ceramics) and stacks of eye-catching coffee table books. When in doubt: "Wood and ceramic decor go a long way to being both traditional and cool-modern," the designer notes. Wall art is a surefire way to bring more personality into any traditional living room. Case in point: This space in which an abstract piece of artwork takes center stage, courtesy of Henderson's keen eye for design. 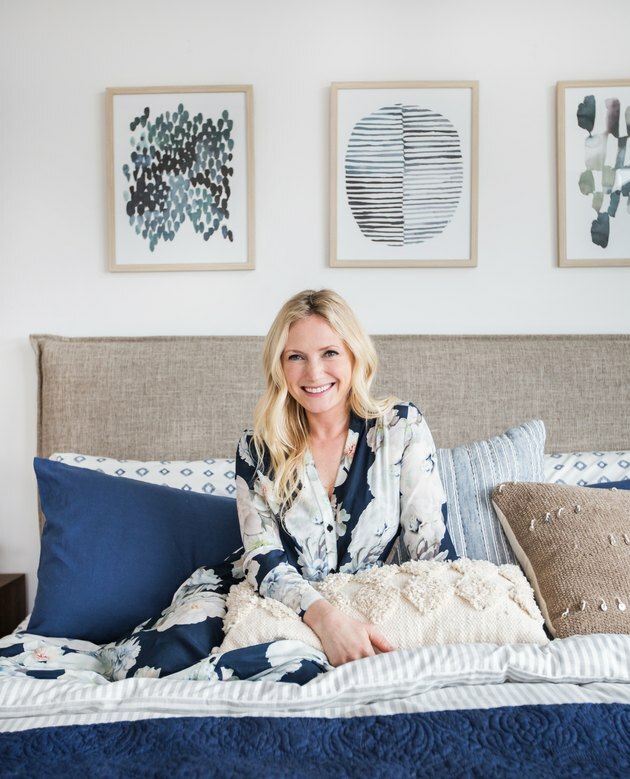 With a penchant for large-scale pieces ("Keep the art on the larger side and simple," she offers), the designer warns against having too many small pieces that "will make your space feel cluttered, which isn't the feel of this style." To further solidify the modern look, "Be sure to pick frames that are streamlined — nothing gilded or ornate," Henderson advises. Flooring can be flexible in a modern traditional living room, according to Henderson. That said, "Wood floors are the ideal — who doesn't dream of wood floors? — but that doesn't mean if you have carpet you can't have a beautiful modern traditional home," notes the designer. We all know that texture is the hallmark of a well-styled space, and layering different textiles can make for a much more interesting aesthetic. So it goes without saying that textures are a key element in every room Henderson designs. "Handmade, organic, vintage, or vintage-inspired are all descriptors of what you want your textures to look like," says the designer. 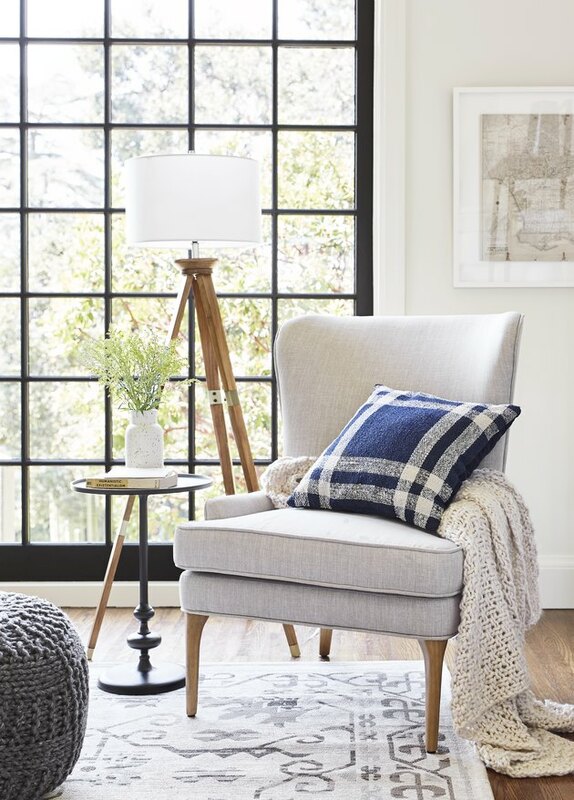 That's certainly true of the woven throw blanket and the handcrafted rug seen in this living room styled by Henderson.